Amazon topped the list of brands with most positive buzz in the first half of 2014, according to a report from YouGov BrandIndex. 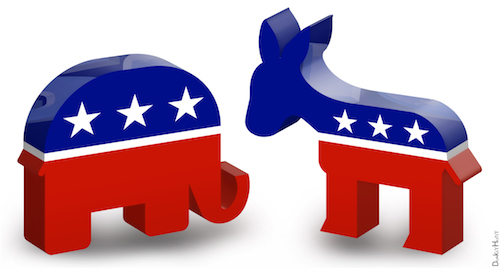 The report utilized data from the Buzz Poll, which asks consumers about buzz heard or read about a brand in the last two weeks. Some might find the continued reign of Amazon surprising given a few PR hiccups lately, related to its battle over e-book pricing with Hachette Book Group. But excitement over the expansion of Prime and introduction of the Fire phone seems to trump any negative buzz, according to consumers. 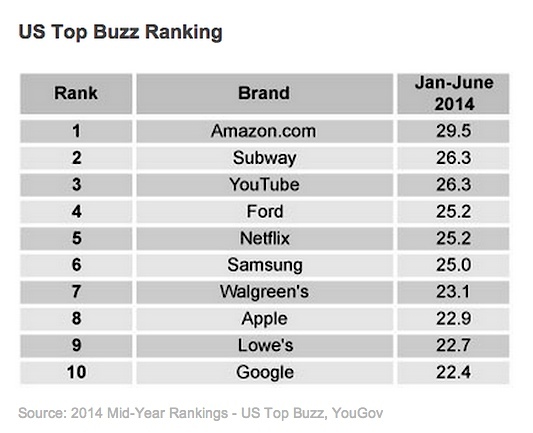 Subway comes in at #2 and YouTube is #3 on this list of brands with the most positive buzz. See who rounded out the top ten list here.